It is not often I can write a blog in an hour. Usually it’s written, reviewed, accuracy checked and making sure I have made my client, who has provided me with a particular insight, indistinguishable from the message I am sharing. This blog is different. There is nothing to cover up, on the contrary. 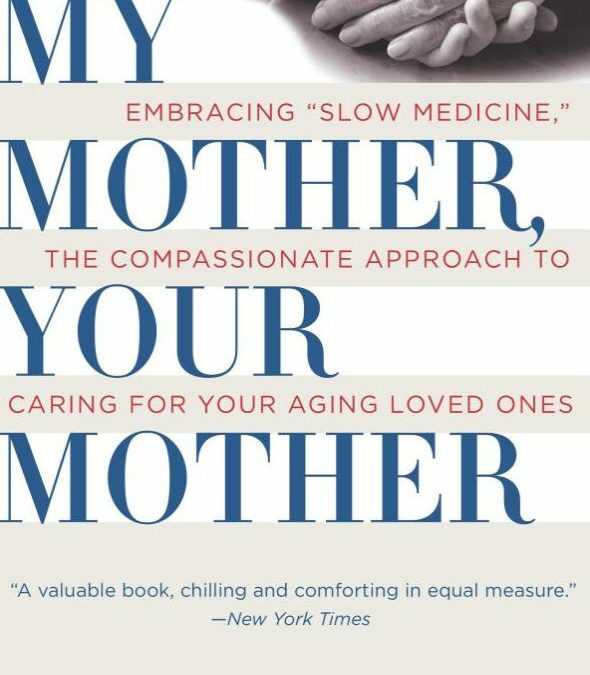 In telling you of the recent and untimely death of Dr. Dennis McCullough, I am introducing you to the world of “Slow Medicine,” which he pioneered with the publication of his book, “My Mother, Your Mother” in 2008. Regrettably, dying at the age of 72 he did not have the opportunity to put into practice what he encouraged. Or maybe it is not regrettable. He died a quick death, the result of a heart attack. Nothing prolonged and no heroic measures. He would have liked his death. The essence of Slow Medicine is kind medicine. Less is more medicine. Often as spouses and adult children we feel compelled to do as much as we can to help a loved get better. Dr. McCullough has asked us to step back, just minutely out of the box and ask ourselves this question: by doing additional testing, surgical procedures, adding more medications are we really helping someone at the end of their life? He faced this personally when his mother went from a nursing home to a hospice care center. Medications, other than those for pain were stopped. It was here that her dignity took center light, with family and familiar caregivers close by. She was one of the sources for his book. The other being his own experience as a “vulnerable” patient for over a three year period. An untimely death, but an eternal message.